50 Years Ago in Hockey - Gardens to Expand? 50 Years Ago in Hockey – Gardens to Expand? With no on-ice action to report from last night, other matters made some news in the hockey world today. Possibly the most significant item concerns the plans by the Toronto Maple Leafs to add 4,000 seats to Maple Leaf Gardens. Harold E. Ballard, the executive vice-president of the corporation that runs the Gardens said that the application would be made shortly after the December 7 civic elections. It will be similar to the one accepted by the city council in November, 1963 by a 16 to 5 vote. That proposal included an overhang on Carlton and Wood Streets. A problem arose when a by-law permitting the overhang was rejected by the Ontario Legislature’s private bills committee last February. 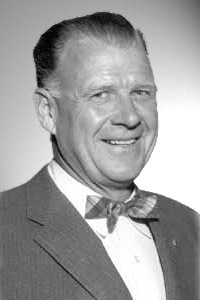 Municipal Affairs Minister J.W. Gordon said the plan offended good community planning. Ballard denied a suggestion that unless the Gardens gets the approval it seeks, the corporation will consider building a new arena in the suburbs. It has been reported that Maple Leaf Gardens Ltd. has been approached to join an investment group interested in acquiring and option on a section of the RCAF Downsview airport, which is expected to close within three years. Prentice for Pappin in the works? As far as the on-ice product is concerned, Leafs general manager-coach Punch Imlach says that Terry Sawchuk will get the start in goal this Thursday when Toronto journeys to Montreal to play the Canadiens. Sawchuk has played three times this season and has yet to lose. He sports a 2.00 goals-against average. Jim Pappin is the Bruins rumoured asking price for veteran Dean Prentice. Imlach says he has received trade overtures from Boston but is reluctant to take on more aging players at the expense of youth. 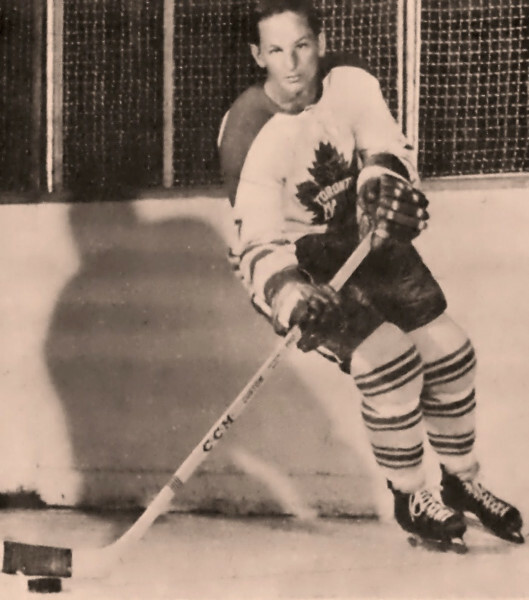 Some observers feel that Dean Prentice, who is 32, might be a trade target for Imlach, who would have to send 26 year old Jim Pappin to Boston in order to get the veteran left winger. 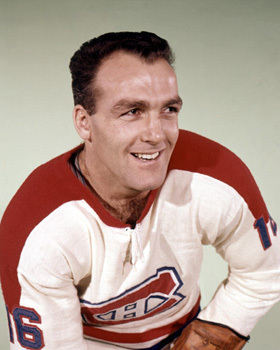 In Montreal, coach Toe Blake was happy to report that centre Henri Richard will likely suit up for the Habs Thursday against the Leafs. The Pocket Rocket hasn’t played this season since he suffered a severe groin injury in a pre-season match. Richard skated twice yesterday and reported no ill-effects from the workout. In eight games this season Montreal has won four, tied three and has lost only once, Sunday evening against the Rangers. 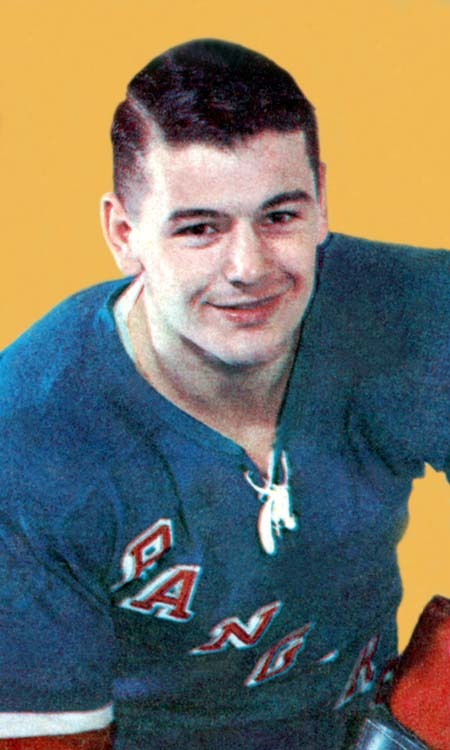 Speaking of the Rangers, their fine young forward Rod Gilbert spent the night in hospital when he experienced dizzy spells after crashing into the boards during the first period of that game Sunday. 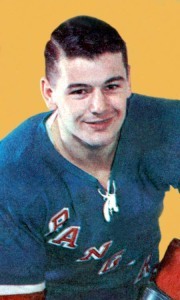 As a result, New York has called up veteran left winger Val Fonteyne from their American Hockey League Baltimore farm club. The San Francisco Seals of the Western Hockey League, sporting a 2-7 record so far this season, have dismissed Nick Mickoski as head coach. He will return to the playing ranks immediately, but will also serve as the club’s assistant coach. Just a couple of days ago, the Seals were saying that “wholesale fines” might be dished out to the players in order to improve their moribund performance. Instead, it was Mickoski who was the first casualty. Norman (Bud) Poile the team’s general manager, adds the coaching file to his portfolio. He promises major changes to a team that won the WHL championship the past two seasons before falling on hard times to start this campaign. In a junior hockey game this weekend at the Coliseum in Quebec City, fans witnessed a wild scene that saw a referee knock out a player with one punch. The incident occurred early in the second period of a game between Quebec-West and Beauport. Referee Roland Paquet assessed QW’s Gilles Donaldson a minor penalty. Donaldson was upset with the call and slammed his stick against the boards near Paquet in protest. Paquet then added a misconduct penalty to Donaldson’s sentence, sending the player into a rage. Donaldson dropped the stick he had broken on the boards and charged Paquet. Paquet acted swiftly and before Donaldson could take any physical action against him, the referee connected with a solid right hand to the player’s jaw. The force of the blow sent Donaldson reeling to the ice and broke an upper denture. After the game, QW’s coach Paul Roger said his team intended to file a suit against the referee and also to lodge a formal protest with the league. Beauport won the game 5-3.